Siemens Gas & Power utilized its industrial X7 printer for strong, stiff fixtures. Siemens Gas & Power manufactures world-class gas turbines for industrial power generation and mechanical drive applications. Used for a variety of applications, including turn-key power station projects, Siemens power systems are frequently tailored for each customer project. One such area of customization is the fuel type used to power the gas turbine. 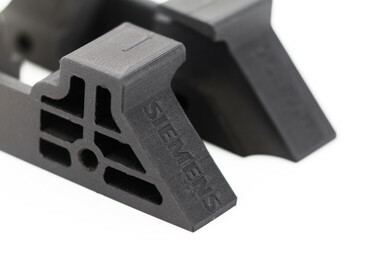 Siemens is also a pioneer in the field of additive manufacturing and has been driving its industrialization for over a decade. In 2012, they opened their first designated 3D printing workshop for serial manufacturing, repairs, and prototyping of metal components. 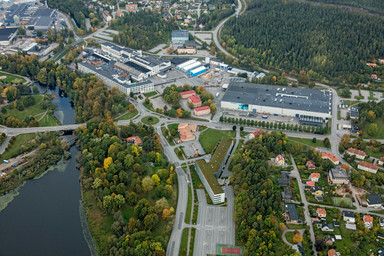 The workshop is located Finspång, Sweden, as an integral part of the gas turbine manufacturing business. Recently the Siemens engineers in Finspång began 3D printing a specially designed fuel injector nozzle to react quickly to customers’ customization requirements. They found that conventional methods of manufacturing were hindering the team from achieving higher customer benefits. By additively manufacturing the fuel injector nozzles, the engineers were able to fabricate high-performing, complex parts faster than before. However, they also realized that the more intricate the 3D printed custom nozzles became, so too did the post-production machining. The necessary support structure required to 3D print the nozzle had to be milled away afterwards, and a special fixture had to be designed to do this. Conventional tooling could not reliably hold the nozzles without causing damage due to the thin, geometrically obscure nature of the nozzle walls. To outsource the geometrically complex, custom tooling would drive up lead time significantly. "We become more flexible. We become faster. 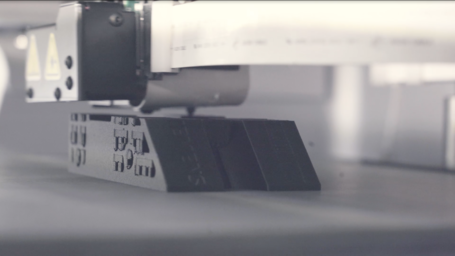 It [Markforged X7] is absolutely a lean tool." The fixtures allow Siemens engineers to machine the fuel injector nozzles. "You can basically make the impossible possible." The holding devices are clamped on while the fuel nozzle is machined on a 5-axis mill. Engineers at Siemens Gas & Power in Finspång can continue to quickly iterate on designs for different customer needs. There are already plans in place to use Markforged technology for other significant tooling projects. Siemens employees are now empowered to take on new and existing projects with this newly gained knowledge. “We’re looking forward to working with Markforged in our upcoming projects”, says Graichen.